On Monday, February 26th, TBS will debut the new animated intergalactic space saga Final Space on at 10:30pm PT/ ET immediately following American Dad! for an hour-long animation block. 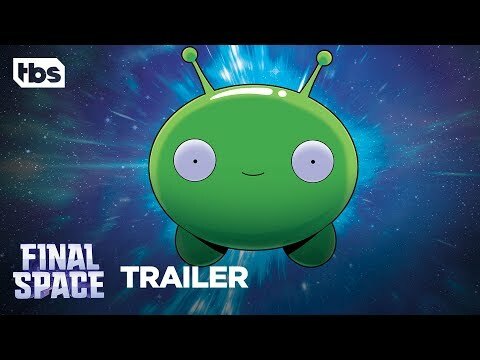 Final Space is an epic animated sci-fi comedy about a spaceman named Gary who is working off a prison sentence and makes a mysterious new alien friend Mooncake who he immediately bonds with. But what Gary doesn't know is that his adorable new sidekick is actually wanted by the sinister Lord Commander who will stop at nothing to use Mooncake's untapped powers for evil. Final Space Season 1 was released on TBS 422d ago in the US. Notify me when Final Space Season 1 is available.